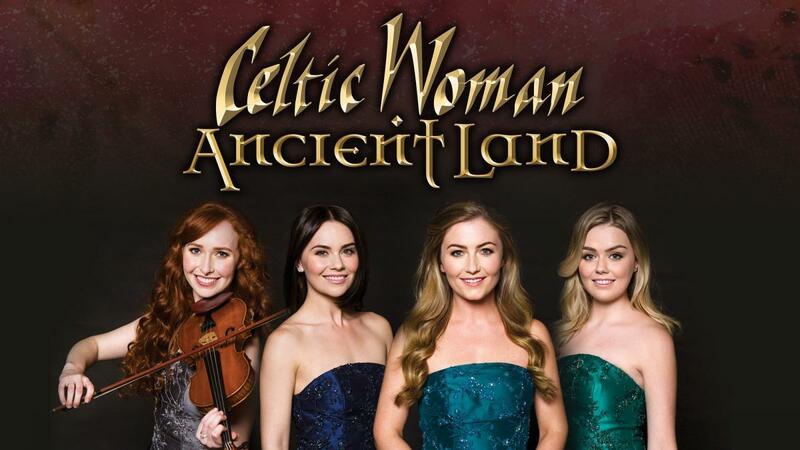 Join Foxy Travel for an evening at the Providence Performing Arts Center to see the wonderfully talented Celtic Women, on their debut ‘Ancient Land’ Tour! Both an accomplished recording ensemble and a world-class performing collective, Celtic Woman celebrates Ireland’s rich musical and cultural heritage, while continuing its remarkable legacy of introducing some of Ireland’s most talented singers and musicians onto the world stage. Their new album Ancient Land celebrates the centuries-old Irish tradition of telling stories through song: stories of the land, stories of love and stories of dancing – songs that will bring a piece of Ireland to audiences everywhere. Celtic Woman continues to transcend national and cultural boundaries to celebrate the timeless emotion of Ireland’s centuries-old heritage. A one-of-a-kind live act, Celtic Woman combines the country’s finest musical talents with epic stage production to present a uniquely inspiring live experience. We have golden circle floor seating reserved. Before the performance, we will dine Family Style at Trattoria Zooma! The Italian menu consists of Insalata Di Cesare, Assorted Pizza Napoletana, Mozzarella in Carrozza, Gnocchi Alla Nonna, Penne Al Ragu and Pollo Con Funghi. Cannoli’s will be served for dessert! Coffee, Tea and one glass of wine or beer will also be included. Hello Audrey! No age requirement, we would love to have you both join us! !